Mezco Toyz’ Living Dead Dolls line consists primarily of nightmare fuel – creepy, bloodied baby dolls with big eyes. 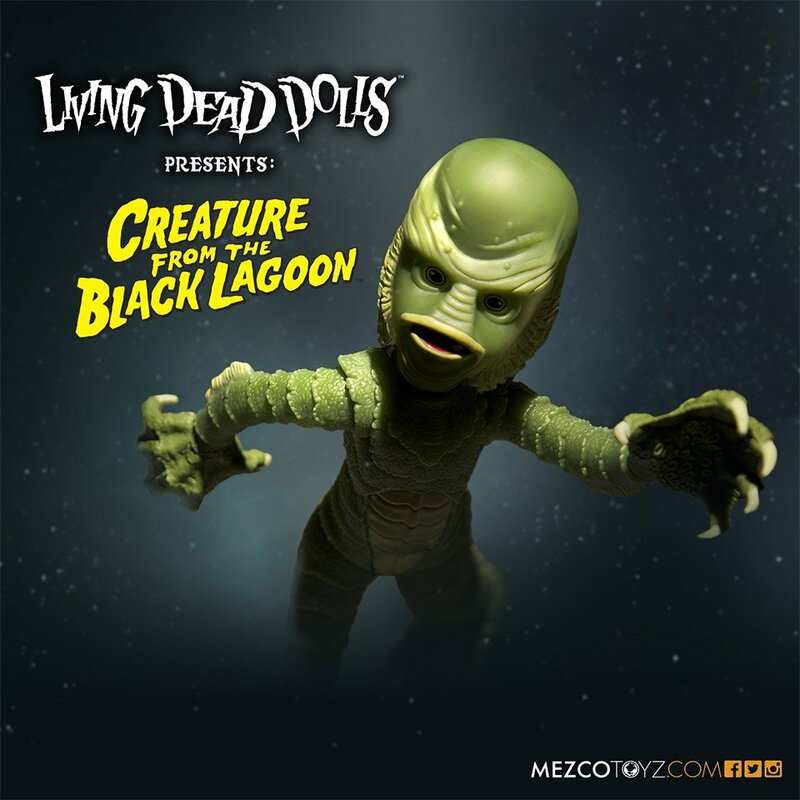 So I thought it was odd that the line is creating a toy based on The Creature from the Black Lagoon, but they did, and it looks pretty nifty. This 10″ tall version of the eponymous prehistoric green Creature has lots of neat details, including webbed hands with sharp claws and yellow eyes. It’s also got a disproportionately large claws and a big head. Not bobblehead big, but still Elephant Man big. 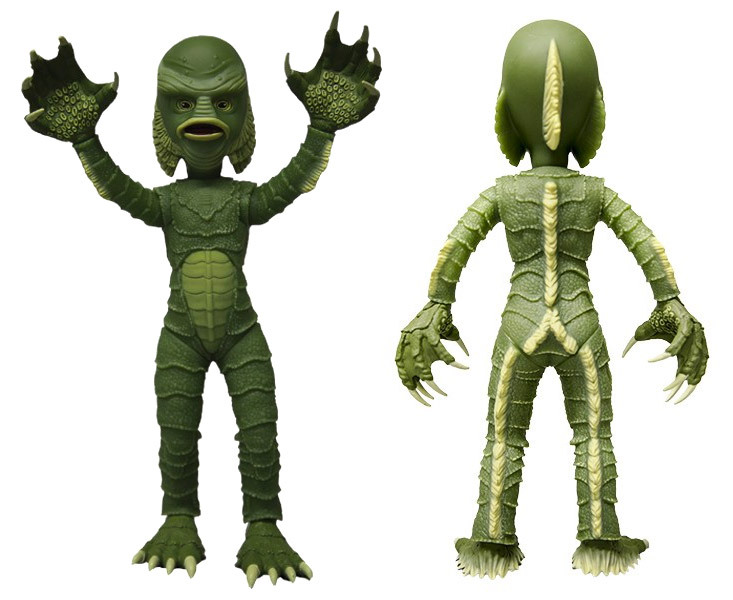 He’s also got nine points of articulation – which I find funny, because the Creature isn’t particularly articulate. The collectible will ship in July 2015, and can be pre-ordered now for $32(USD).